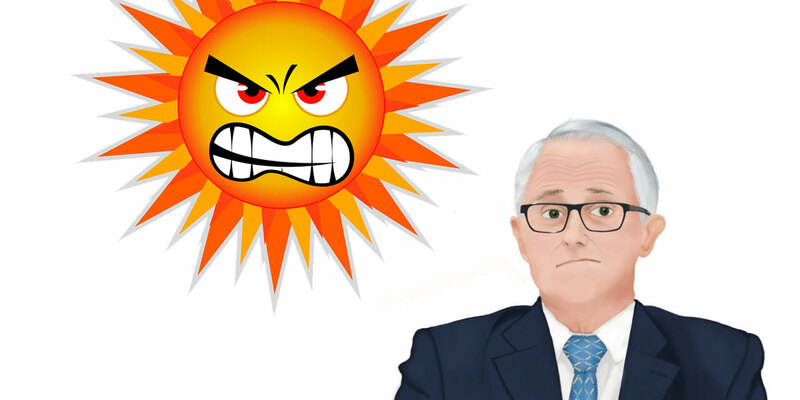 Home > Solar Policy > Is renewable policy Turnbull’s road map back to the centre? Eight days after the election, it looks like the LNP will be returned with a slender majority. What does this bode for renewable policy in Australia? Anyone who saw our PM’s late night meltdown on national TV following the election last week saw a man whose game plan has been destroyed. This by the electorate not playing ball and electing him with an increased majority and control of the Senate. Former NSW (Labor) premier Kristina Keneally discussed how Bill Shorten (hardly Mr Charisma) managed to out campaign Mr Turnbull in the long, drawn-out weeks. Here’s her article for The Guardian. The make-up of the Senate is also still to be determined. Though PM Turnbull’s gamble to call an early election to capitalise on his popularity appears to have completely failed. Indeed with the rise of the far right in the form of Pauline Hanson, a whole new dimension of pressure is now on the Coalition. Turnbull’s position is far from safe. With the acolytes of former PM Tony Abbott circling, any chance that positive solar power policy in Australia will be implemented as part of an enlightened renewable energy package seems remote. This Giles Parkinson piece makes for fascinating reading. In it, Parkinson talks of a series of reports commissioned by the Climate Change Authority (CCA). These game-changing studies were allegedly shelved by the government in the lead-up to the election. Presumably to avoid embarrassment in the pro-renewables electorate. He talks of Turnbull using these reports — which call for a more bipartisan approach to climate change and renewables policy and called for mechanisms such as a carbon price — to propel Australia to world leadership on the issues. More importantly, Parkinson argues these reports can be the vehicle to move Malcolm Turnbull back to his more natural turf in the centre of the party. Last week we discussed the frustration that Malcolm (Formerly in the Middle) Turnbull must be feeling after caving into the right wing of his party on almost every notable issue. This including solar policy in Australia. How out of touch he was with the Australian electorate could not have been demonstrated any clearer than in last week’s poll. Will Turnbull and his moderates decide to follow the people instead of his right wing on vital issues such as renewable energy policy? Will the CCA’s hidden reports provide an impetus for Turnbull and Co. to move back to the centre? Will he be challenged as leader if he takes this course of action? Please have your say in the comments. Previous Article: Standard Tariffs Vs Time Of Use Pricing. Which Goes Best With Solar? As for solar: I believe us solar people will be better off, not because of the LNP but because of the pressure from the Labor and Greens. However the LNP have been elected for a 3 year term, let us see if they will survive even 6 months of that. What Australia needs are health, education and industry. Why do we have to import solar panels, inverters etc., why can’t we make it ourselves? Is everything in Germany, Japan, Scandinavia, Korea made in China? Does these countries have low wages? We are bogged down with red tape and industrial relations. Red tape from both sides of parliament, and industrial relations mostly from Labor and Unions. How bad has it got to get before our politicians wake up, and not only face the truth but also tell the truth. You make some valid points about where the “pressure points” will come from. Will Malcolm move back to the middle? Or will he continue to pander to the right? Like you I think there’s a touch of lame duck to him, after all the only reason for his election (as leader) was his overwhelming popularity with the Australian people. That seems to have gone. I wouldn’t hold my breath. MT is a wounded animal and and the big ‘head in the sand’ ‘living in the past’ staunchly conservative part of the party will use all their might to torpedo and back-knife the PM. He has only himself to blame for being a lame and spineless duck. He disappointed a large number of Australians after he came to power, many hoping for change from the irrational thoughts and splutters of his predecessor on items like environment, renewables, climate change etc, but nothing absolutely nothing came about. I could go on, but what for? Yes, it’s depressing isn’t it!